Working together, members of the McAllen Chamber of Commerce are making a difference. The McAllen Chamber, with more than 2000 members, is committed to powering the economy for South Texas, working to retain and attract jobs and investment to the region and helping regional business expand and grow. 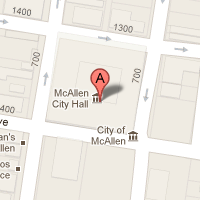 The Chamber represents business throughout the city of McAllen and all of South Texas. We invite you to Join The Chamber, participate and make a difference in the future of McAllen. The McAllen Chamber of Commerce will help McAllen businesses be successful and make money, accelerate connections, create economic momentum and enhance the image and quality of place of McAllen. The Chamber will also lead, partner or applaud efforts to improve McAllen.